Doc says I can only lift about 10 lbs. right now and for the next few weeks. 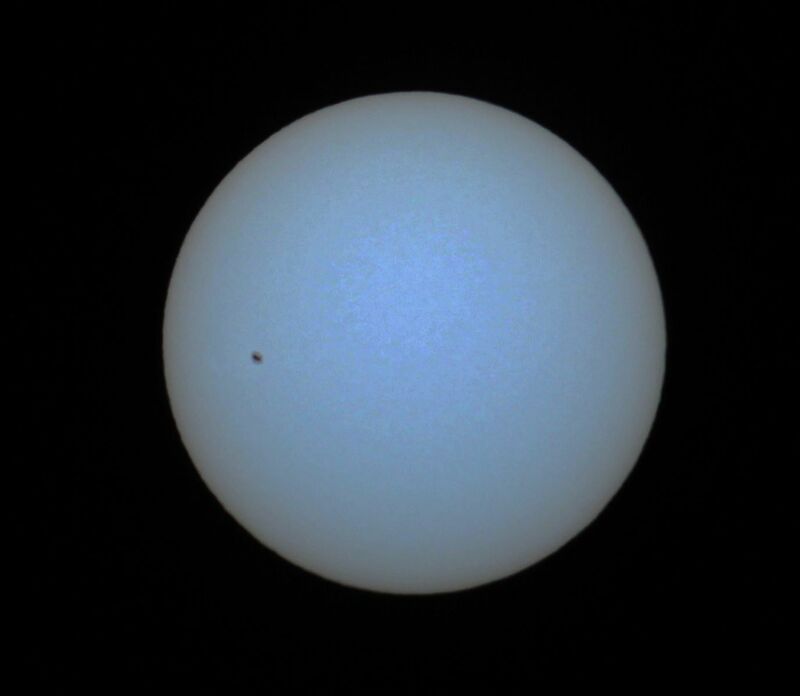 But I was allowed to set my itsy bitsy 66mm Vixen ED Apo refractor on the sun this morning for a look at the solar disk and big sunspot AR 2738. Spaceweather.com says: Big sunspot AR2738 is crackling with low-level B-class solar flares. If you have the right stuff it is worth a look!